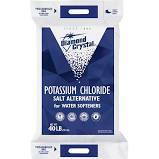 Hellenbrand salt sales and delivery | Oregon Water Conditioning "
Did you know that we are a dealer of Hellenbrand Premium softener salt? 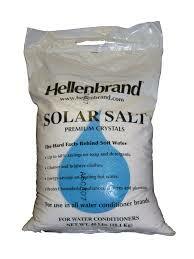 We stock Solar Salt and Pellets. We also have select Morton and Cargill products. We can deliver to you garage, or right to your salt tank. We deliver a few bags, or in full pallet quantities. You just tell us at ordering what you want. We are also a wholesale distributor.